When working with complex or multi-step calculations, there’s nothing worse than getting lost or making a mistake and having to start all over from the beginning. If only you could see the steps leading up to the current result! This is actually possible in Windows 10 with the History feature, though a lot of people seem to be unaware that is exists. Personally, I didn’t know about it until recently either. After launching the Calculator app, you can view the History in two ways. The first way is simple: either click the icon in the top right corner or press the Ctrl + H keyboard shortcut. Both do the same thing, which you can see above. The better way, in my opinion, is to stretch the window horizontally until the right panel pops into view. Now you can see the history in real-time, which is way more convenient. Click the trash can icon or use the Ctrl + Shift + D keyboard shortcut to clear the history. 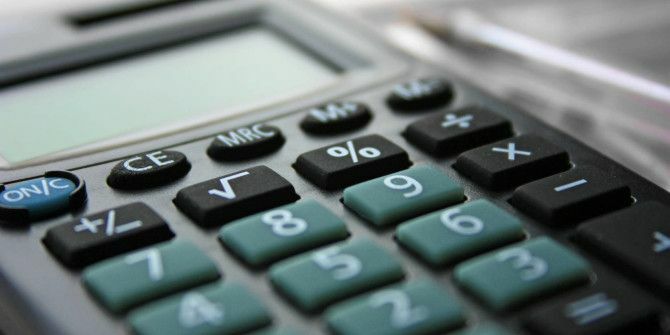 This is just one of many neglected calculator tips 9 Neglected Windows Calculator Features to Save Your Day (and Money) 9 Neglected Windows Calculator Features to Save Your Day (and Money) The classic Windows Calculator contains many overlooked features. We bring them to light and show you how you can use this app to do math faster, process unusual calculations, and save money. Read More that you should know about. Give it a try! How useful is this for you? Did you know about it before? What else would like to see in Windows 10 Calculator? Share with us in the comments below! Explore more about: Calculator, Windows 10.